It's been an exciting year for me so far... My latest pattern made it to #1 on Ravelry's Hot Right Now list and I recently surpassed 2,000 Likes on my Facebook page. To celebrate I am having a huge giveaway. Lots of great prizes are available to be won. 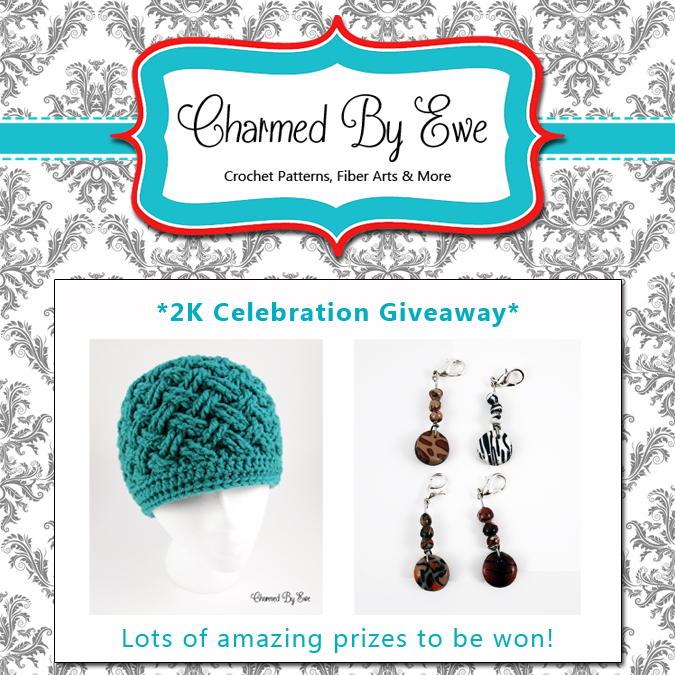 Visit my website to enter and good luck! That is just great. That is one very good year. Thank you! I am definitely blessed.